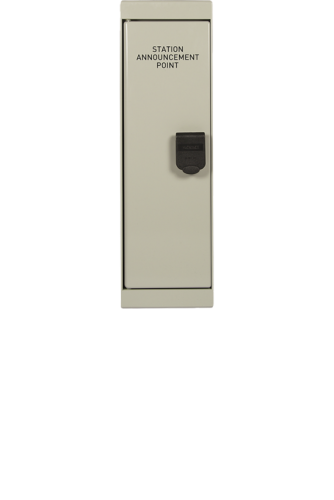 The EMS01 Emergency Microphone Station is an EN54 compatible emergency microphone which provides All-Call functionality for making live emergency announcements to entire facilities. 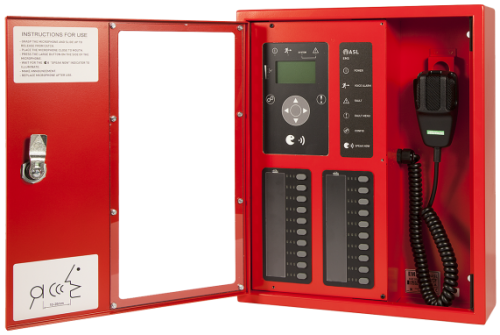 The microphone provides EN54 compliant emergency functions and all EN54 mandatory indicators and controls. 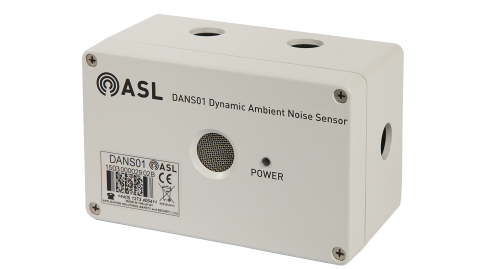 The microphone is housed in a lockable wall-mounting box and features a graphic LCD display together with indicators for ‘Power’, ‘Voice Alarm’, ‘System Fault’, ‘Fault’ and ‘Speak Now’. 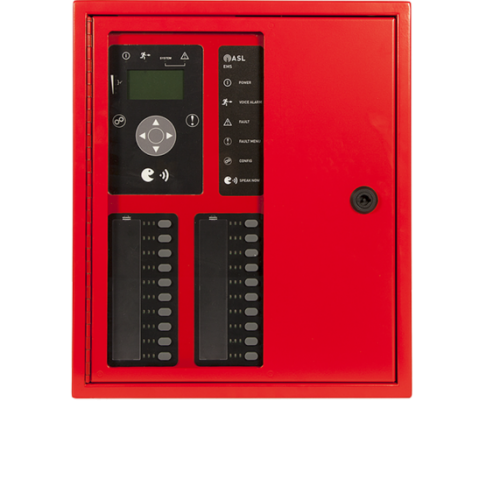 The LCD display provides remote access to the list of active faults in the PA/VA system, while the EN54 mandated control keys enable navigation through the fault list, and also provide remote fault acceptance and clearance. The EMS01 has multiple PA/VA system interfaces. It can be connected directly to either one or two ASL audio routers, enabling multiple options for system redundancy. The EMS01 will operate in an All-Call hardware bypass safety mode even in the event of processor failure within the host Voice Alarm Router2 . This hardware bypass function also operates across whole facilities when the microphone is used in conjunction with ASL’s Intellevac safety audio network. There is also a non-EN54 RJ45 Ethernet IP interface with Power over Ethernet capability3 for VoIP connections to ASL IP based PA/VA systems. All interconnect cabling and the microphone capsule is continuously monitored for open and short circuits. 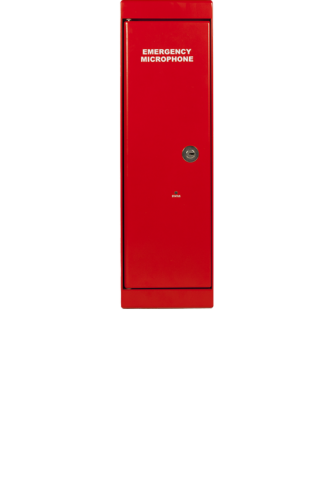 Top, bottom and rear cable entry points are provided by means of ‘knock-outs’ in the enclosure, while the field connections are provided by means of a set of terminals on the inside rear panel of the back box. 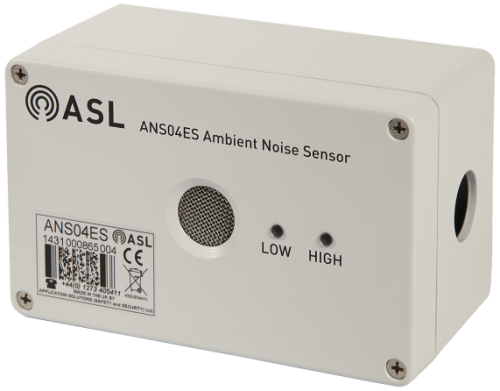 The EMS01 is compatible with the whole range of ASL Voice Alarm and Public Address systems4 , and is designed to comply with EN54-16, ISO 7240-16 and BS5839-8. Versions with multiple PA/VA zone select buttons are also available for applications which require this. 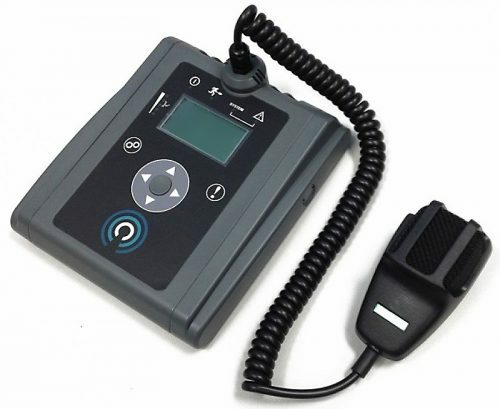 The MPS range of paging microphones provide live, store-and-forward, and recorded message broadcast into user selected zones. If required, they can also be configured to provide EN54-compliant emergency functions and all EN54 mandatory indicators and controls.The base MPS01 unit consists of a sloping desk console with a flexible gooseneck paging microphone, graphic LCD display, and silent operation ‘Touch to Talk’ touch pad PTT button.Up to five MPX10 button modules can be added to extend the microphone to up to 50 buttons.EN54 CertificationAs part of ASL’s EN54 certified Voice Alarm solution, the MPS can be used as a day-to-day Public Address microphone or as a fully featured emergency microphone at the turn of a key.Multiple InterfacesAlthough the MPS supports our standard analogue & RS485 interface, the MPS can also be used over IP. Simply power the unit using a local PoE supply and connect to the same data network as the VIPEDIA-12 to enable IP connection.Local Music InputA local 3.5mm socket on the MPS makes it simple to connect a local music source, such as mobile phone or iPod, into the public address system. Control zone volumes and turn the music on and off – all from the MPS unit.Store-and-ForwardA simple configuration option allows the MPS to be used in ‘store & forward’ mode where the user’s speech is recorded and played back on release of the microphone’s talk button. This prevents feedback in areas where the MPS needs to be used in close proximity to loudspeakers,Dual Analogue OutputsFor systems requiring high levels of redundancy, the MPS has twin analogue outputs driven from separate internal amplifiers; allowing it to be connected directly to two separate routers in an A/B configuration.Zone Listen-InOperators can listen in to announcements being made to any zone on the system, simply by selecting that zone to listen-in from the loudspeaker inside the MPS base. This is particularly useful where certain zones receive many announcements from different sources, such as on train platforms, and allows the user to be constantly aware of announcements being made around the site.